Charming painting from Skagen, Denmark, signed with monogram "PH" Peter Holm (1889 - 1966). Oil on canvas. Charming Impressionist painting, oil on canvas. Good condition. Signed, circa 1900-1920. Measures: H. 50 W. 43 cm. H. 19.6 W. 16.9 in. Charming Chinese painting, 18th century Measures: H. 32 W. 45 cm H. 12.5 W. 17.7 in. 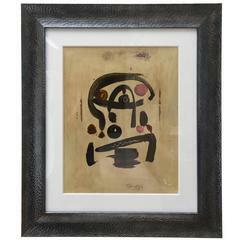 Attractive framed painting signed by the artist. Great home or office decoration. (Please confirm item location - NY or NJ - with dealer).